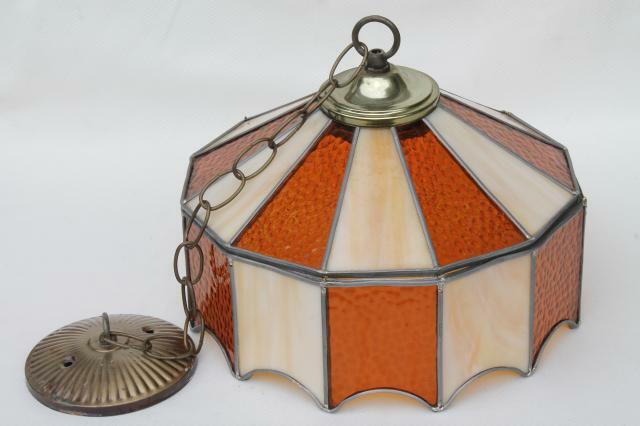 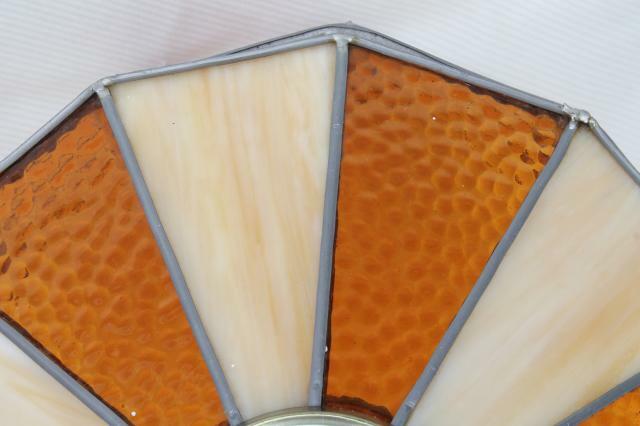 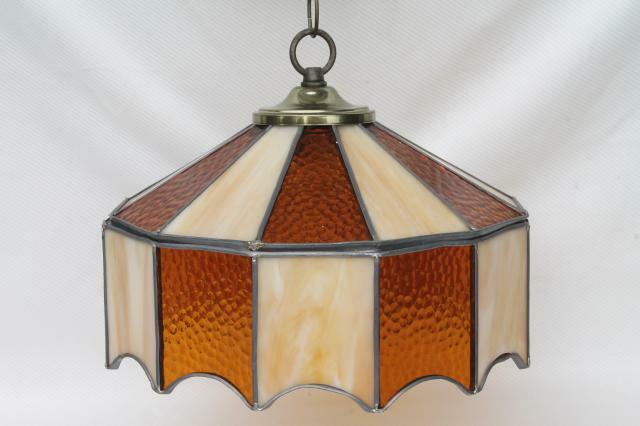 Gorgeous vintage leaded glass shade light fixture in shades of amber and caramel slag glass. 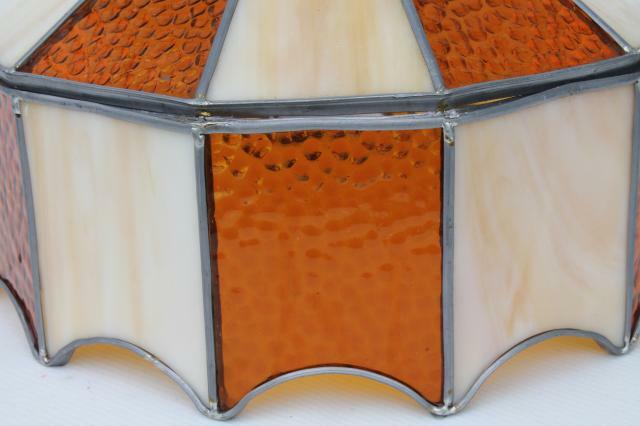 This looks very good without breaks to the joins or the glass pieces. 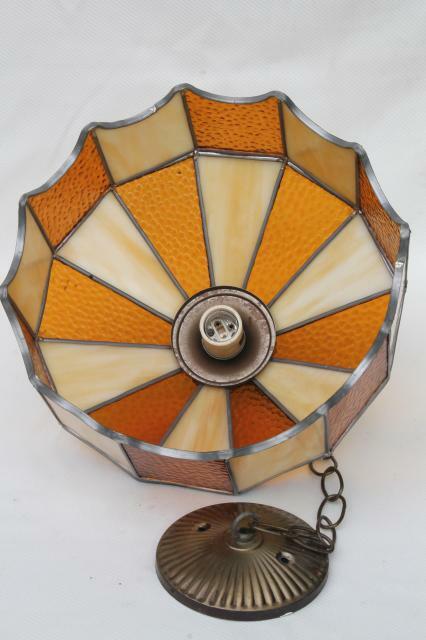 It's 11" overall diameter. 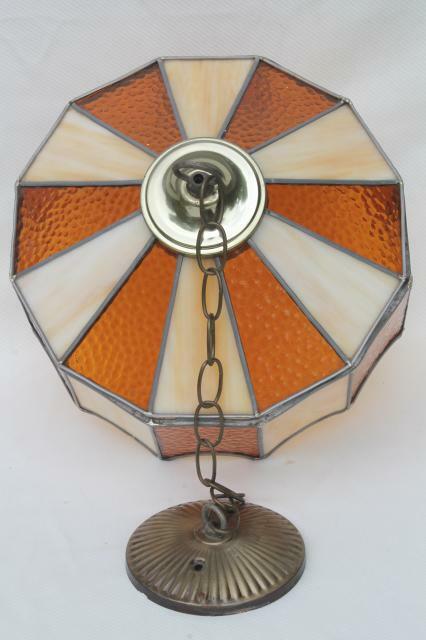 The wiring setup was made to wire directly into the ceiling, and the wire needs replacing - it's just the hanging chain without wiring right now.